At the conclusion of the Second World War it did not take long for the potential air traffic control uses of radar to be appreciated. 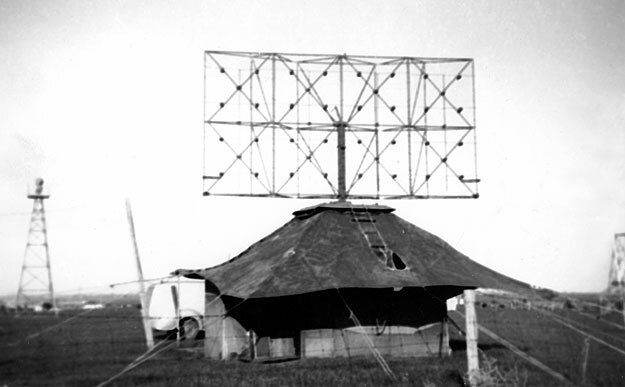 In the late 1940s DCA commenced a series of experimental radar installations at Melbourne/Essendon with a wartime Light Weight Air Warning (LW/AW) radar installation. No doubt Essendon was used because at that time it was the busiest airport in Australia and also because of its proximity to DCA Head Office which was then in Melbourne. The LW/AW set was developed in 1942 in Australia by the Council for Scientific and Industrial Research (later CSIRO) Radiophysics Laboratory in response to the need for a portable air defence radar station that could be readily deployed in northern Australia, New Guinea and the islands to Australia's north. The sets were built by the NSW Railways workshops. A total of 56 units were used by the Australian forces, 60 by the US Army in the Pacific and a further 12 in Burma. The LW/AW set had a hand-turned aerial and the operators sat under a canvas tent. Click here to see the internals of the LW/AW system. The Essendon installation was on Bowes Avenue, near the airport's southern boundary. In the background of the photo above, taken in 1947, the rotating aerodrome beacon can be seen on its tower. Although the LW/AW installation did not prove operationally practical for air traffic control, it led to further DCA experimental radar installations such as the ex-naval Type 276 radar.